Originations in the commercial and multifamily mortgage segment are expected to be strong in 2018, with some top firms looking to increase activity, according to an MBA Newslink report on the 2018 CREF Outlook Survey released by the Mortgage Bankers Association. 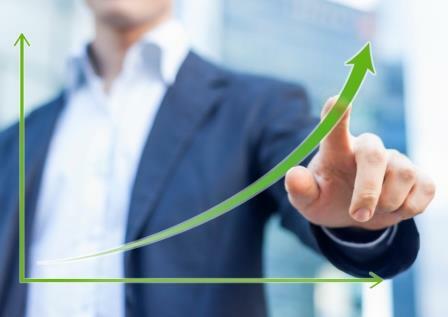 The survey found that 78% of top firms expect an increase in originations this year, with 22% expecting the entire market to see overall growth of 5% or more. When asked about expectations for their own originations, 47% of the surveyed firms said they expect growth of 5% or more. "Mortgage bankers look to 2018 as another growth year for the commercial and multifamily mortgage markets," MBA Vice President for Research and Economics Jamie Woodwell said. "The majority of top firms expect a ‘very strong' appetite from lenders and a ‘strong' appetite from borrowers to drive commercial mortgage originations higher." While increasing rates are expected to be a drag on the overall market, Woodwell said that benefits are expected from tax reform and regulatory relief. The survey also revealed expectations of eagerness among lenders to make and borrowers to take out loans in 2018. Ninety-three percent of respondents expect lenders to have “strong” or “very strong” appetites this year, with 59% expecting “very strong” and 33% expecting “strong” appetite. Seventy-four percent of the respondents said they expect “strong” or “very strong” appetite among borrowers in 2018, with 59% expecting “strong” and 15% expecting “very strong” appetite. The survey request was sent to leaders of 60 of the top origination firms in the commercial and multifamily mortgage segment as determined by MBA's 2017 Annual Origination Rankings Report. The response rate was 50%.